In the first six articles in this series, all the Shanghainese builders profiled were firms that were established in pre-war Shanghai and moved to HK before or after 1949. This article will profile seven Shanghainese builders who were born in prewar Shanghai but did not start their firms until they came to HK after 1949. Most of these companies emerged as leading players during the construction boom of the 1960s through 1980s as the HK economy took off. John Lok & Partners was involved in the construction of many landmark buildings from the 1960s to the 1980s – the best known of which being the HSBC head office. The firm’s eponymous founder John Lok Hsiao-pei (陸孝佩) hails from a prominent family of mandarins and merchants in Jiangsu province. 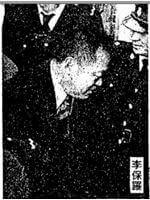 His maternal great-grandfather was the hardware/oil tycoon Yeh Ching-chong (who is also related to the Yeh family of Hsin Chong) and his father I-Feng Lok was the comprador of the German firm Ferrastohl GmbH and vice chairman of the China Egg Produce (Cepco, a leading exporter of eggs to the United States) in Shanghai. Born in 1921, Lok graduated from his father’s alma mater, the prestigious St John’s University in Shanghai with a civil engineering degree in 1942. To escape from Japanese rule, he moved inland to work as an engineer in Xian and after the War he built a successful construction business in Shanghai with a partner, with a specific focus on British clients. Unfortunately, he plowed all his earnings into Shanghai real estate all of which was confiscated when the Communists took over in 1949, hence when he moved to Hong Kong in 1950, he only had 5 HK dollars in his pocket and his family was confined to a 200 square feet rental apartment on Prince Road. Leveraging his old connections, he found employment as an associate manager at Hsin Heng Construction and worked under its owner Johan Zee (See Shanghainese Builders in HK Part Two for more details). In 1960, he founded John Lok & Partners with his wife Tan Kwan-yuan and through hard work and a good reputation, built a successful business. Its original small office was in a building on Hankow Road, next to the office of the then popular, but now defunct biweekly publication Nan Bei Ji, and when the author visited in the early 2000s, the John Lok office next door was still kept intact perhaps for feng shui reasons. In 1967, the company won the contract to construct part of Phase I of Mei Foo Sun Chuen alongside Hsin Chong. By 1973, John Lok & Partners was able to go public through a reverse takeover of the publicly listed The Sun Co (which was once one of the Big Four department stores in HK and Shanghai) from the Choy family although he kept the name of listed entity as The Sun. 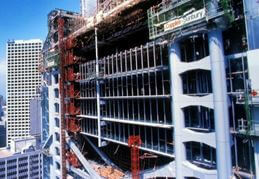 In 1976, it won the $66 million contract for the new Wing On Centre in Sheung Wan. And in 1978, it was awarded the $400 million contract for Phase I of Harbor City in TST. The firm was also involved in the construction of Luk Yeung Sun Chuen, the 17 towers, 4000 unit residential project developed by HK Land atop the Tsuen Wan MTR station which opened in 1983. In 1980, the new HSBC head office contract was up for grabs and the competition was intense – all the major firms in HK such as British-owned Gammon and the leading Chinese firms such as Shui On, Hsin Chong and Paul Y bid for it but John Lok was able to beat out all of them despite being the smallest firm amongst all the bidders to become the management contractor in July 1981 by teaming up with Wimpey, the largest construction firm in the UK and highlighting the dedication of a smaller firm. While Lok took on many projects over the years, his crowning achievement without a doubt remains the HSBC Building in Central. Designed by Sir Norman Foster, the building was the most expensive building to be constructed in the world at that point and John Lok/Wimpey completed the project in 4 years with 153 subcontracts. Although he made $75 million from the HSBC contract, Lok claimed he was stupid to stay in the construction business as on ten occasions he almost went bankrupt (one of his failed deals was Discovery Bay where he was owed large sums of money by Eddie Wong Wing-cheung, the original developer) so in 1988 he decided to exit the construction business to focus on property investments and in 1990 privatized The Sun Co for HK$700 million. Like his former employer Johan Zee, Lok is also related by marriage to the Wing On Kwok family as his daughter Jane Lok (陸恭一) is married to Lester Kwok. His son Hardy Lok Kung-chin who graduated from University of Manchester and serves as managing director of his companies, is the brother in law of SHKP chairman Raymond Kwok Ping-luen. His most prominent relative however is the former legislator and environmental protection advocate Christine Loh, the daughter of his cousin David Loh Hsiao-I. 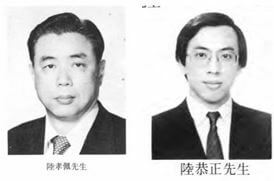 Another cousin of John – Stanley Hsiao-Yin Lok (陸孝寅) was a 1958 graduate of the May 4th Middle School in Shanghai and came to HK to join John Lok & Partners in the 1960s before starting his own construction business and also served on the board of HKBCA. Founded in HK in 1959 by its namesake Tai-kui SHEN (沈泰魁), T.K. Shen Construction was a contractor active in the 1960s and 1970s. Born in 1924, Shen was a graduate of the National Central University in Nanking. His mother Chen Pinjun (陳斌娟) was a prominent jeweler in Shanghai and in 1960, TK Shen co-founded Echo Jewelry (凱歌首飾公司 ) in the Miramar Arcade in Tsim Sha Tsui with his mom as chairperson and the opening ceremony was well attended by the Shanghainese elite in Hong Kong at the time. As of 1986, Echo was operating out of Ocean Terminal and was run by TK’s wife Ellen Yao. Not much info is available about projects TK Shen was involved with. In 1964, he was fined for mosquitos in his construction site in King’s Road IL 4434. dissolved 1991. Another project was No. 4 Shiu Fai Terrace, which was designed by Wallace Chiu, the brother in law of Tung Chee-hwa. In 1977, TK Shen won its highest profile contract to build the Sea Ranch resort (澄碧邨) in Lantau Island for Hutchison Properties. While this project was completed, the resort was later abandoned in 1989 due to the difficulty to get to the location. Shen was on the board of HK Building Contractors Association (serving as vice chairman in 1979) and was a trustee of the HKBCA School. In 1972, he formed Tsao & Shen (基泰有限公司). While he was in HK, TK Shen was arguably better known for being a Beijing opera lover and amateur actor than being a contractor. 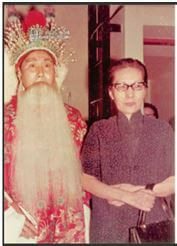 In fact, he was one of the few students of the famous Beijing opera actress Meng Hsiao-tung (孟小冬, also known for being the former lover of Mei Lanfang and wife of Tu Yuehsang, the godfather of old Shanghai) and served on the board of Meng Foundation alongside a number of fellow Shanghainese businessmen and Beijing opera aficionado such as securities tycoon Lee Wo Sheng, shipping magnate TY Chao and others. In the 1990s, the Shens migrated to America and lived in Monterey Park, California and TK Shen Construction was dissolved in 1991. 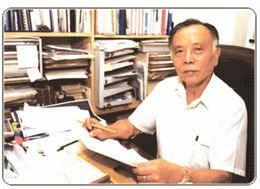 Wide Project was founded in HK in 1964 by Purger Wong (王雄煦) who started in the construction business in the late 1950s. 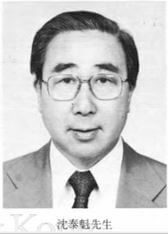 In the late 1970s and early 1980s, his firm specialized in the construction of industrial buildings including the Kaiser Estate (Phase I and II) in Hunghom for the Ting family of Kader Industrial, Kwong Luen Tai Industrial Building in Kwun Tong and the East Asia Textiles building in Tuen Mun. It was also involved in residential projects such as 20+ story East Asia Gardens, the tallest building in Tsuen Wan when it was built (formerly the East Asia Textiles factory site), residential apartments for Hang Seng Bank in Shatin and Shanghai Commercial Bank Building in Aberdeen. According to newspaper article, total contract value for the firm exceeded $100 mil at the time. In addition to construction, Wong was also involved in various related construction materials firms such as metals and cement and also had a hand in vegetable and fruit trading. 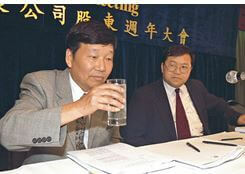 In 1983, he founded Polyclean (保潔麗), a chemical firm that specialized in cleaning solutions. After his first wife passed away in 1984, he remarried Luk Wing-yee, a chemistry teacher, who joined Polyclean in 1993 and helped him managed the business as he battled liver cancer. As tighter environmental regulations in HK made it difficult to operate a chemical plant in HK, Polyclean moved its manufacturing to Shenzhen in 1995 and in 1999 became the first HK chemical firm to be ISO-9001 certified. Heavy marketing also helped to establish Polyclean as a leading bleach & disinfectant brand and was very popular during the SARS crisis in 2003. The firm also became the OEM manufacturer of cleaning solutions for major retail chains such as Walmart and Lotus in China. In 2004, Purger Wong passed away and his widow Luk Wing-yee succeeded him as head of Polyclean which currently manufactures over 400 products. Yao Kee Construction was a Shanghainese builder active in the 1960s, during which the firm was involved in the construction of the Ocean Terminal in Tsim Sha Tsui (in conjunction with Paul Y and Taylor Woodrow), the Catholic-run St Louis School in Sai Ying Pun, the Salesian Assembly Hall in Shau Kei Wan, and a number of industrial buildings in Kwun Tong. Its proprietor Yao Ling-sun (姚連生, 1912-2007) was born into a poor family in Shanghai. Aside from construction, Yao was also involved in property development (the Hooley Mansion in Happy Valley) and the restaurant business (Hay Man Nin Chinese restaurant). 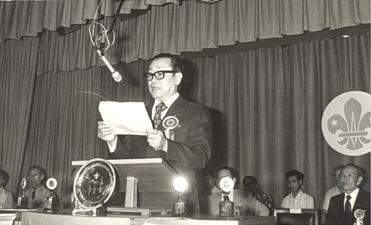 A well-known philanthropist, Yao was first elected as director of Po Leung Kuk in 1969, later rising to the position of vice chairman and in 1982 sponsored the establishment of the PLK Yao Ling-Sun College. He served as director of HK BCA in the 1970s and was also on the board of Lok Sin Tong and Kiangsu-Chekiang Residents Association. When he passed away in October 2007 at the age of 95, his estate bequeathed HK$110 million to four institutions (split equally between them) – the Chinese University of Hong Kong, the University of Hong Kong, Po Leung Kuk and the Tung Wah Group of Hospitals. In the history of the construction history in HK, there was nothing more dramatic than the rise and fall of Paul Lee Engineering in the early 1970s. Paul Lee (李保羅) was born in Shanghai in 1920 and graduated from Ta Tung University with a degree in civil engineering where his wife Kao Yu-pei (高儒佩) was his classmate. In 1957, he came to HK with only 8 renminbi in his pocket but with his civil engineering background was able to secure a job in the construction industry fairly quickly. The couple founded Paul Lee Engineering in 1962 and with Paul’s technical expertise and down to earth and can do attitude, the firm quickly emerged as a major contractor for the government with a specific focus on infrastructure such roads, bridges and tunnels. By the late 1960s it was a Class C contractor for the government with no limits on contract value and had completed the flyover bridges on Princess Margaret Road in Kowloon – one of the first in HK. In 1969, it teamed up with Ho Yin of Macau and was awarded the Taipa-Macao Bridge contract. 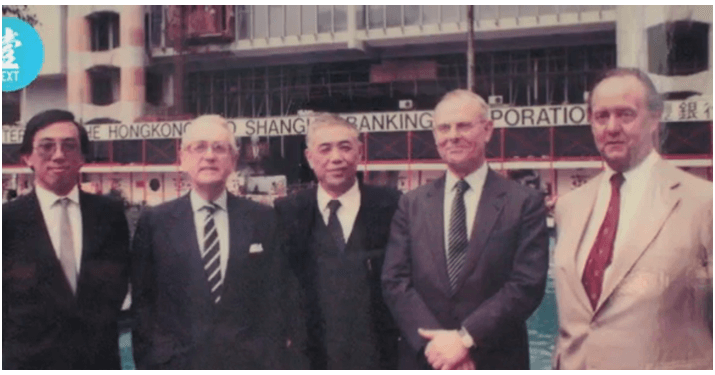 In December 1972, Paul Lee Engineering became the fourth publicly listed construction company in HK after Paul Y, Gammon and Hsin Chong with the property developer Hopewell as a strategic shareholder holding 25% of the firm. The stock went from HK$1 to HK$25 in the matter of 3 months. In 1973, Paul Lee announced a partnership with John Holland, the leading construction and engineering firm in Australia. Seduced by the rapid gains in the euphoric stock market that year, Paul Lee plowed the firm’s capital into stock speculation which ended badly. In August 1974, Paul Lee’s stock was suspended as it came under investigation and by February 1975 the firm was bankrupt. 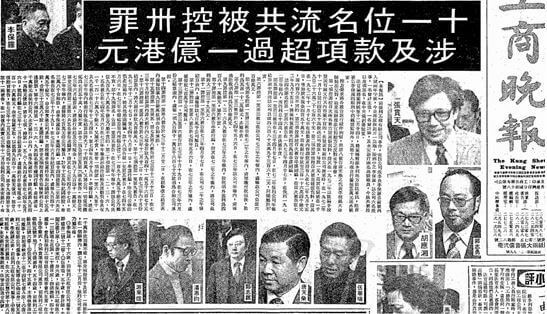 In December 1975, Paul Lee and 10 others including his wife and other directors of the firms such as the lawyer Donald Quintin Wong (brother of Sir Oswald Cheung), Tong Tin-sun, Albert Kwok (head of Wing On Bank) and Gordon Wu of Hopewell were charged with 30 counts of wrongdoings – at the end only Paul was found guilty and sent to jail while the others were acquitted. The scandal sent shockwave throughout HK with many government contracts in jeopardy and construction workers lost their jobs. In September 1978, Lee was released from jail after serving 2 years and 8 months. The 59 years old Lee left HK upon his release but remained in the construction industry as he was immediately hired as a consultant for US$30 million infrastructure project at the United Arab Emirates. Davenport, Andrew “Hong Kong: A Scandal Unfolds” Far Eastern Economic Review, 18 April 1975. 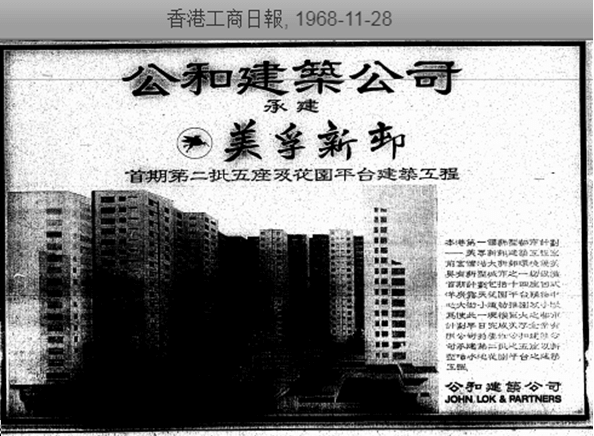 Founded in 1970, Wai Kee is one of the last Shanghainese builders established in HK. Today, it is the only Shanghainese-owned builder amongst the largest construction firms in HK as most of the other ones have either closed or changed hands. Wai Kee was founded in 1970 by Zen Lok-hwa (單樂華, 1915-1995). Zen was a construction site supervisor who moved from Shanghai to HK in the 1950s. His 3 sons and 5 daughters did not join him in HK until the early 1960s and the large family of 10 lived in a 300 sq ft flat in To Kwa Wan. Zen’s construction business prospered in the 1970s with the construction boom in HK and soared to new heights with the help of his three sons – former Wai Kee Executive Director Richard Zen Wea-foo (單偉虎1938-) who studied medicine in the mainland, current Wai Kee chairman William Zen Wei-pao (單偉豹, 1947-) who joined in 1971 after graduation from CUHK and current Wai Kee vice chairman Derek Zen Wei-peu (單偉彪, 1952-) who joined in 1983 after working as an engineer for British owned construction firm Gammon for 8 years. 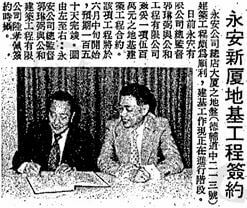 In 1992, Wai Kee was listed on the HK Stock Exchange. In 1994, Wai Kee established Road King Infrastructure with AIG Asia Infrastructure Fund to invest in toll road projects in China and Road King was listed in HK in 1996. In 1997, Wai Kee’s affiliate Zen Pacific Construction acquired Ngo Kee, one of the oldest and most established Shanghainese builders in HK. In the late 1990s, Zen Pacific was impacted by short piling scandal and Wai Kee itself was also hurt by the Hunghom Peninsula deal. As a result, the New World Group was brought in as a strategic investor holding 27% while the Zen brothers retained 48%. The group emerged from the woes a bigger and stronger company with its construction subsidiaries grouped under Build King which remains a major contractor to the government, the MTRC and private developers while Road King controls 12 toll road projects across China. This article was first posted on 10th March 2017. Amongst all the major property developers in HK, two of them have Shanghainese founders and owners – Nan Fung and Chinachem. Both groups have affiliated construction companies but they primarily build for its parent so they are not covered in this series of articles. John Lok mentioned in the article has passed away in 2015 at the age of 94. TK Shen was doing work as a sub-contractor for the Hong Kong branch of Nishimatsu Construction Co Ltd in the late 1980’s , when on a Friday afternoon, TK emptied the company bank account (and presumably his personal bank accounts) and went to Taiwan with his family. The Company folded the following week. That was when Nishimatsu discovered that they were liable at law to pay the outstanding salaries of the TK Shen direct employees (but not those of TK Shen’s sub-contractors). In respect of Paul Lee, I was also involved with the demolition of the Princess Margaret Road Flyover in the late 1980’s, and its replacement with a new 4 lane wide flyover on the same alignment as the original 3 lane flyover. We discovered that some of the piles of the original flyover were only 3m long!! !